We buy houses, even mobile homes, or big houses, we buy apartments, townhouses, condos, vacant land, duplexes, multi-tenant buildings, and much more. Heck, we can even purchase commercial properties.We want to buy your property. Funds are just waiting to be spent! That means that we are more than willing to offer you cash anytime for it. Just Call Us and we’ll take care of the rest, no matter the condition. 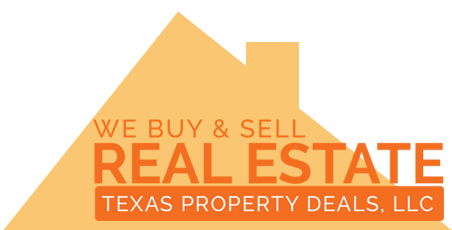 Texas Property Deals, LLC is a quick home selling and fast buying company. Our real estate service was developed out from the need for some El Paso real estate owners who’s need to sell their house quickly is more important than selling it at full market value. And to add to that, we are among the most honest and fair.Texas Property Deals, LLC is backed by integrity and experience in buying houses in El Paso Texas. With us you get your cash asap because we have a commitment to quality and speed. There are numerous fly-by-night “we buy houses” guys and operations on the market that come and go, We are an actual company that does everything by the book. Our real estate investment company continues being among the most significant real estate property buying, selling and renting organizations in El Paso.We have access to over 250 years of combined real estate experience in our team. Choose us! Common problems we commonly overcome are issues including probate difficulties, title troubles, pending real estate foreclosure, property or tax liens, low equity, judgments, short deadlines, run-down buildings, termite issues, foundation problems, and more. We can handle pretty much anything in El Paso residential real estate. We can buy your home. If it’s in your best interest to use a Realtor we will suggest that to you or if you simply want to use a real estate agent we can refer one to you. You will find there’s a remarkably skilled set of professionals that are involved when you choose us. We all know that there are many problems that you may encounter when dealing with real estate but no matter what, we can find a solution for it. To keep things simple, rest assured that you can easily sell a home with no need of restoring the residence. Our company buys a huge number of properties in El Paso County each year. We also have access properties that are listed off market by our associates. We can sell you a home in a retail turn key fashion if you want a hassle free move in ready home. We can also sell you a home at a wholesale discount if you qualify.